What’s Good: An unfamiliar terrain of Supernatural thriller which is sliced straight from native folklores. The film maintains its enthralling suspense for the entire first part. What’s Bad: Plotted around stereotypical myths of Black Magic, the film tends to get predictable at places. Kalki’s character did not make any sense. The climax was shabbily done and was a clear disappointment. Watch or Not? : Ek Thi Daayan is a rivetingly thought film. An enticing beginning, a well fitted melodious background score, this film will successfully spook you out. However, the film loses its momentum drastically in the second half. Not a cult film, the film deserves a pat only for the powerful performances of Konkona and Emraan. Famous Magician Bobo is at the zenith of his life. At the top of his career and comfortably in love, his life has it all. Still, a spooky past involving a witch promising to return to haunt him, floods his conscience with her overpowering presence. Taking help from his childhood psychiatrist, to combat his persistent hallucinations; the events coincides with him meeting a certain beautiful lady Lisa Ray, who Bobo thinks is a witch who has come back to keep her word! Does Bobo face his inner fears? Is Lisa really the witch? Can Bobo move on for real, keeping aside his haunting past? Ek Thi Daayan holds the answer to most of these questions, and leaves many more unanswered. The film’s idea is novel to state the essential. Based on a short story by Mukul Sharma, the story was improvised upon by Vishal Bhardwaj. Bhardwaj’s expertise at the theme, given the back knowledge of witchcraft, by virtue of previous research on his debut film Makdee, has come handy in scripting down Ek Thi Daayan. Unfortunately the film exactly does what you earnestly hope it didn’t! It portrays a clichéd picture of witchcraft and mostly foster the commonplace ideas on witches – long hair, hands longer than the body – the ideas sound least impressive and not to mention stereotypical. Though attempting to entertain, personally I do take offense to introducing such trends in popular cinema, like a rubbish image of Daayans. For the entire first part till the strike of the interval, the film is hell scary! The film’s thrill stays concentrated as the director mutely bows to the fundamentals of making horror films tapping many jump-in-your seats moments. Despite the inclusion of motor hallucinations, a Freudian concept, of Emraan’s character, the film raises pertinent doubts. One’s scientific bent of mind will occasionally try to rationalize the myths of black magic, on which the film is based. I too was compelled to hand on to its makers expert books by the likes of Marcel Mauss and other anthropologists to help them garner a better understanding of occult sciences. It is this naïve hitch that deliberately botches up a brilliant conception which blunders the film’s climax. Added on to this, is Kalki’s character which was pointless and wasn’t elucidated enough to hold any ground. Emraan Hashmi managed to score impeccably this time, and without smooching anyone too much. 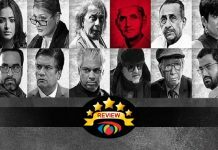 The actor delivers his best performance by far, that will undoubtedly make you realize that he is an actor whom directors haven’t used adequately. Konkona Sen Sharma is dynamic and epic. That woman’s versatility glitters a little more with every film she does. Effortlessly top notch, one cannot expect anything less from this fabulous actress. Always a treat to watch her on screen! Huma Qureshi has a remarkably pleasant and confident screen presence. And Kalki Kochelin, who is an established actor in her own right, goes haywire because of loosely written character. The kid who plays the younger Emraan gives a mesmerizing performance and notably so does Pavan Malhotra. Debutant director Kannan Iyer smoothly masters the genre of the paranormal. Despite being a novice, his intelligent camera work is jolting and scares you well. The film aptly uses darkness, without trying too hard to spook you out yet not patting you off to sleep. 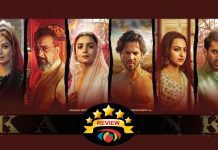 Its pace isn’t hasty, the film’s boredom seeps in only when the screenplay is murdered post interval. Intensely ideated undoubtedly, the film is simply symbolic of excellent cinematic vision which fails for its poor execution. Iyer manages multiple parallel plots and converges them scattered-ly in the climax . The melodious music of the film’s album pleasantly haunts especially Yaaram which will stay on the loop for you, for a while. The make up of the Daayans deserve a special mention, which actually adds remarkably to the film’s horror flavor. 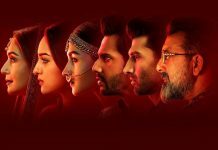 Ek Thi Daayan is an enriching idea of a supernatural thriller that blends the fear of paranormal with ethnic stories of Daayans, grandmothers had narrated to us as kids. The ambience it creates eventually dooms for its wavering second half and shakily written screenplay. Beginning a fresh trend in horror films, it disappoints solely for its inability to deliver innovation as promised. It is indeed watchable, but only for its first part. However, do not go with heightened expectations presuming a classic, since the second half might dampen your spirits! 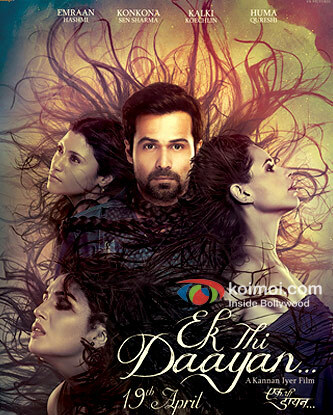 Ek Thi Daayan released on 19th April, 2013. 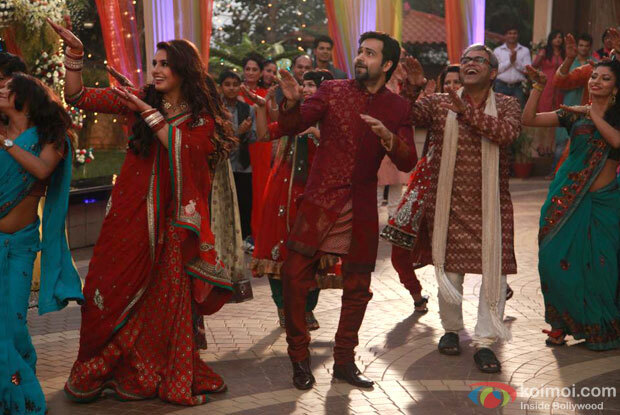 Share with us your experience of watching Ek Thi Daayan. superb movie excellent performance of emraan…. amazing movie bumper it!! dont forget to watch it!! Best horror movie 2013. Huma looks beautiful .